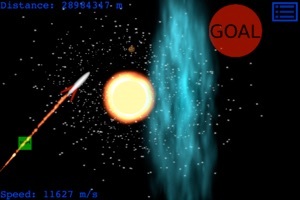 Get ready to launch your spacecraft through puzzles utilizing realistic physics! You’ll encounter the gravity of planets, the heat of stars, the forceful gusts of solar winds, space altering wormholes, and more as you figure out multiple solutions for each level. Each level has a number of “accomplishments” you can attain by completing the level in different ways.